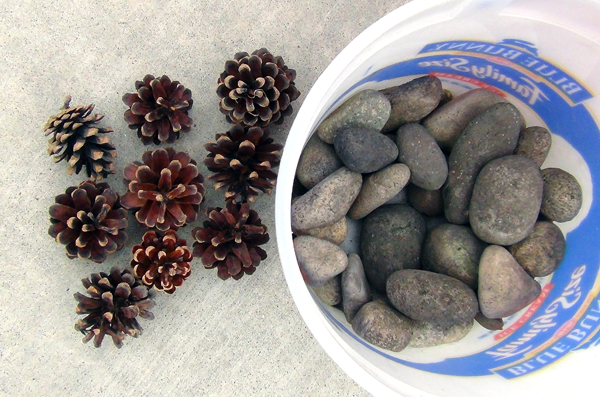 Send kids outside with an empty container. 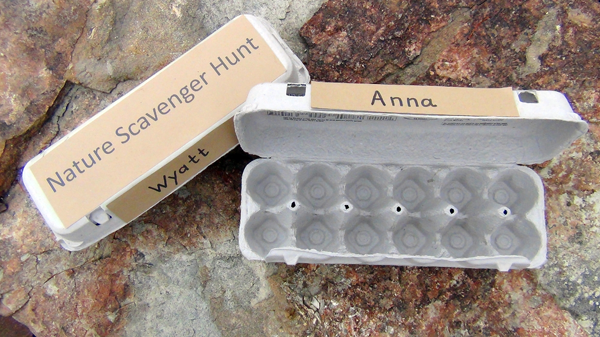 Have them search for 2 different kinds of natural objects that can be used as game pieces. 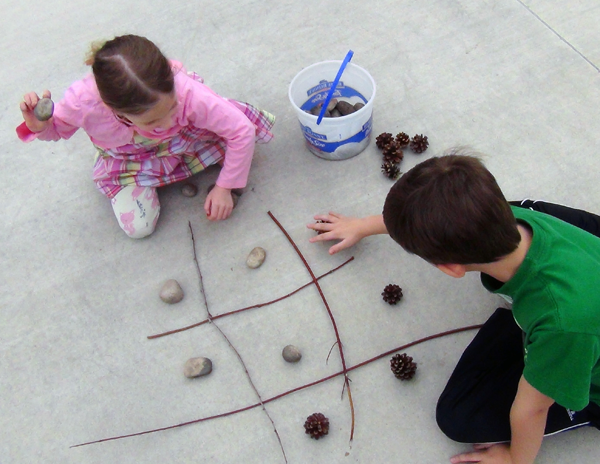 Make a tic-tac-toe grid out of sticks and let the games begin! 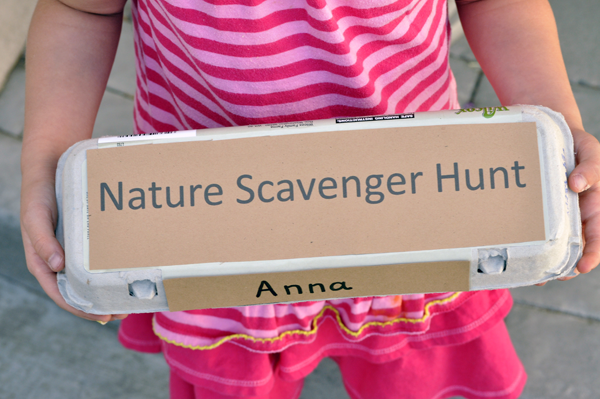 Get free printables for your carton along with a search list and other ideas for conducting your very own nature scavenger hunt.